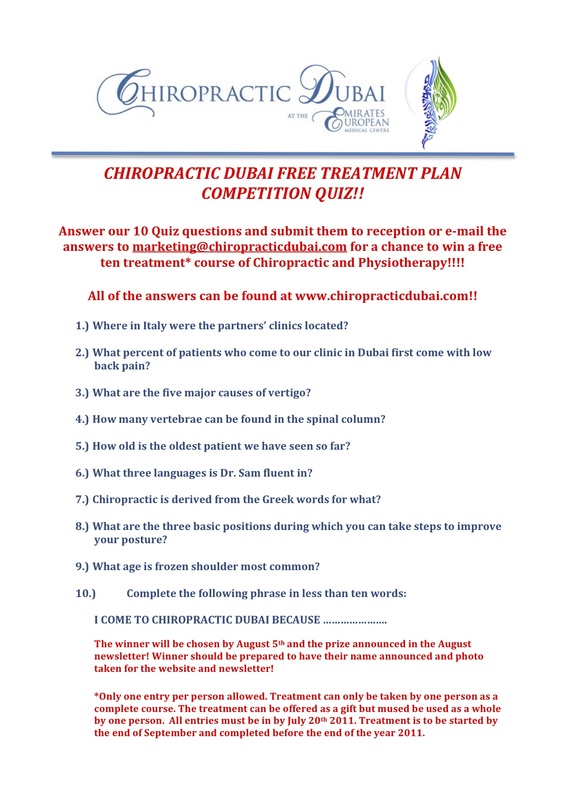 Chiropractic Quiz To Win A Free Course Of 10 Treatments!!!! Previous PostPrevious Men’s Fitness and Shape Magazine Event!!! Next PostNext Work Experience At Chiropractic Dubai!